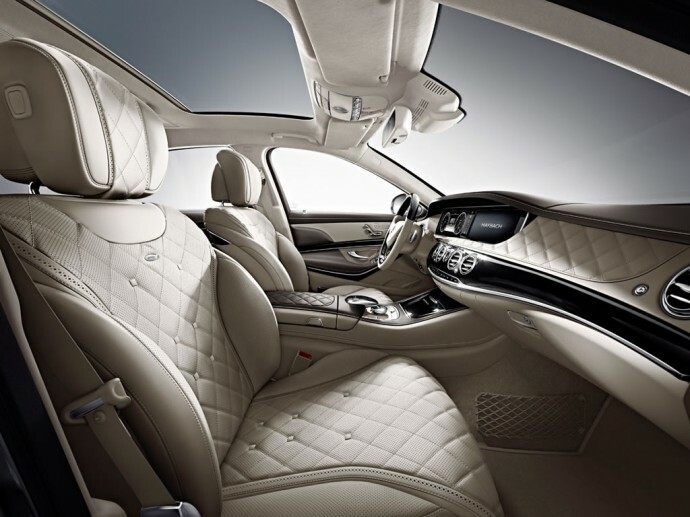 The Mercedes-Maybach S600 has been in the news all throughout the year, and following last week’s teaser, Merc’s most luxurious limo has been finally been unveiled at the 2014 Los Angeles Motor Show. 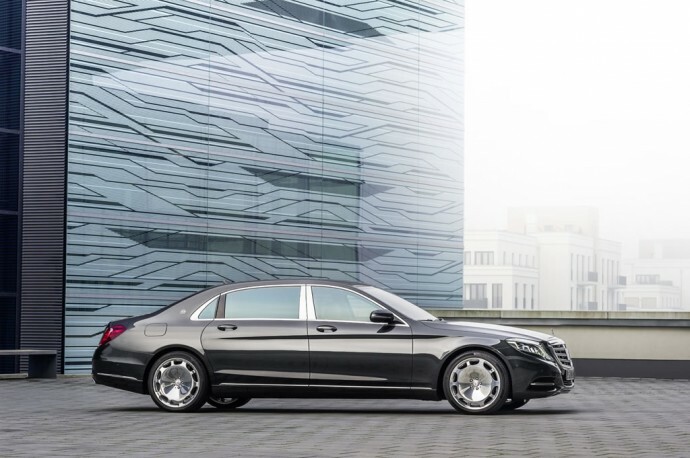 Thankfully, Mercedes has revealed all the details, so here’s everything you need to know about the 2016 Mercedes-Maybach S600. 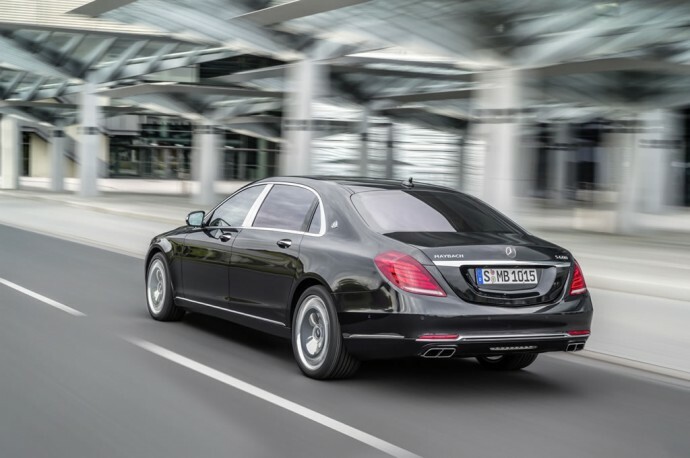 After a brief hiatus of 2 years, the luxury badge has returned as a sub-brand for the German carmaker’s most lavish S-Class in history. 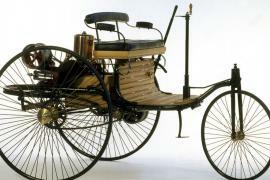 It’s a part of the German automaker’s newly revealed nomenclature. 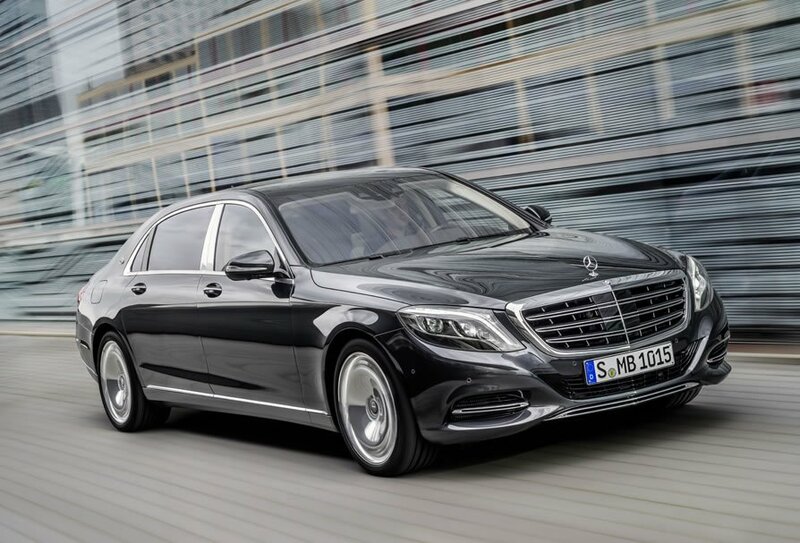 As we had reported earlier, instead of an all-new model, the Mercedes-Maybach S600 is an extra long-wheelbase variant of the S-Class model. 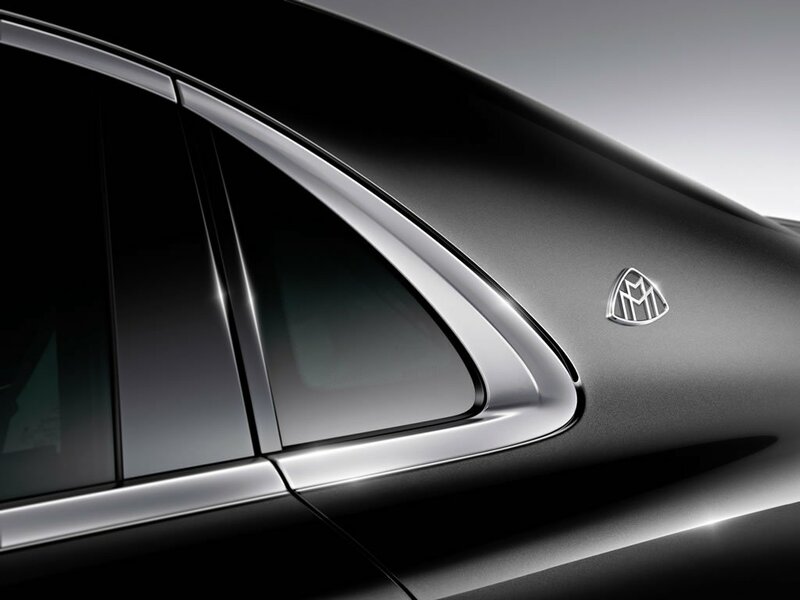 However, what’s interesting is that S600 won’t be the standalone product bearing the Maybach badge. 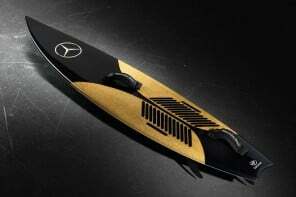 In future, more models under the Mercedes-Maybach sub-brand will be introduced while maintaining the exclusivity. 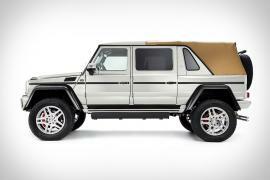 The new V12-powered, extra-long-wheelbase luxury limousine has been designed to compete in a segment of the market occupied by the Bentley Flying Spur and Rolls-Royce Ghost. 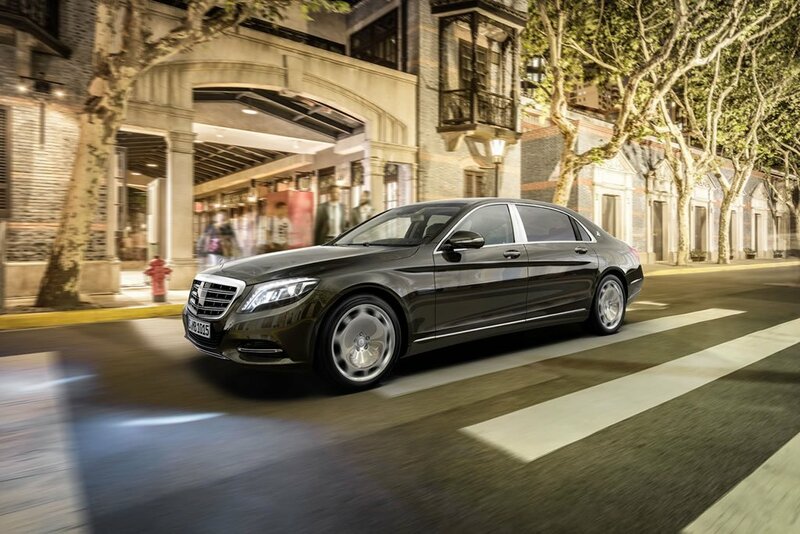 At 5453mm long, the Mercedes-Maybach S600 adds 200mm to wheelbase of the standard long-wheelbase S-Class and 207mm to its overall length. 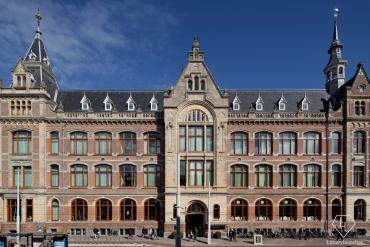 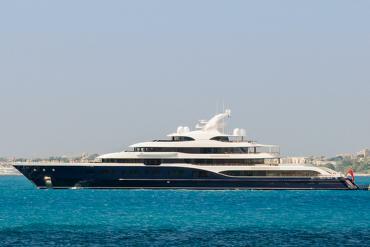 As expected, the exterior is underwhelming as compared to its exceedingly opulent and technical interior. 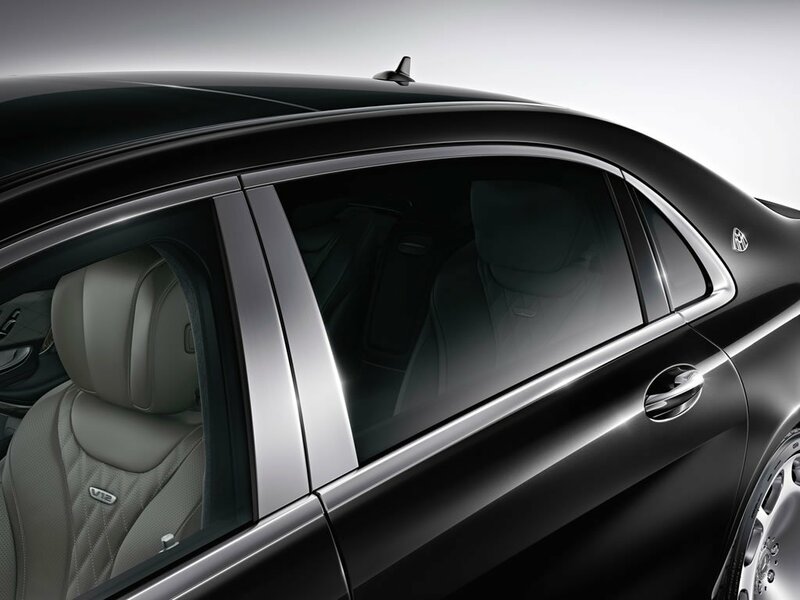 In terms of the changes made on the outside, the rear window has been shortened by 2.6-inches with the triangular windows moving to the body of the car. 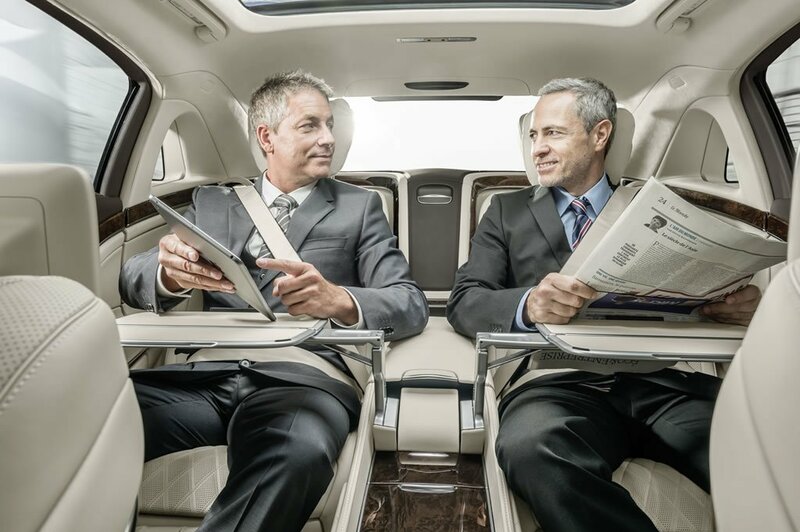 Mercedes says this was done to give an added feeling of privacy to rear-seat occupants. 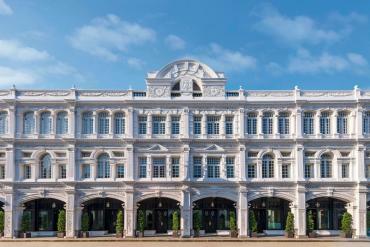 Other upgrades include upgrades include a modified roofline to improve headspace, restyled front-grille, chrome window accents, unique exhaust outlets, and 20-inch wheels exclusive to the Maybach model. 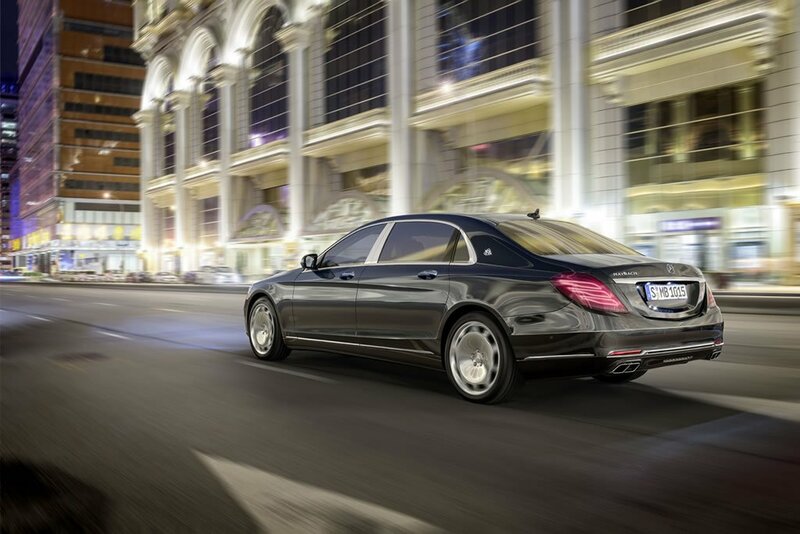 The upgraded S600 also features Maybach badging on its C-pillars and rear. 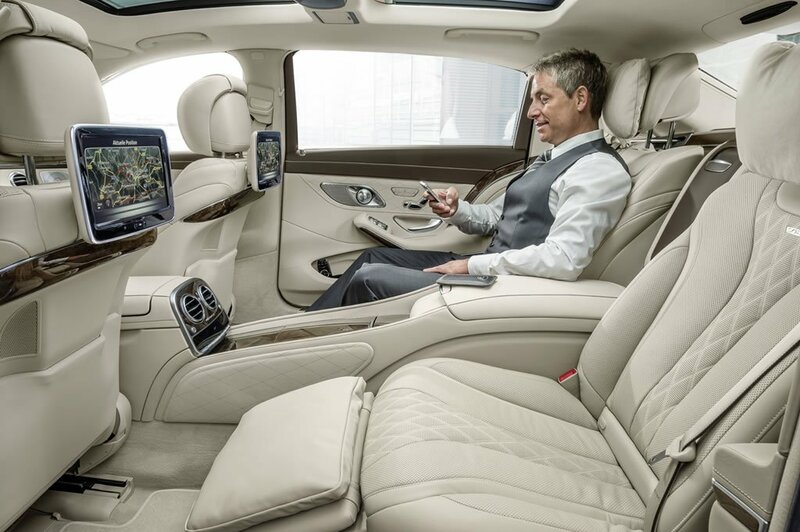 The Mercedes-Maybach S600 is said to be the quietest car in the world in terms of road and wind noise, with a drag co-efficient of 0.26. 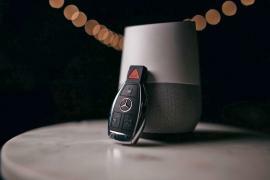 In addition to it, Mercedes has also introduced voice-amplification technology that allows front and rear seat occupants to converse without having to raise their voices. 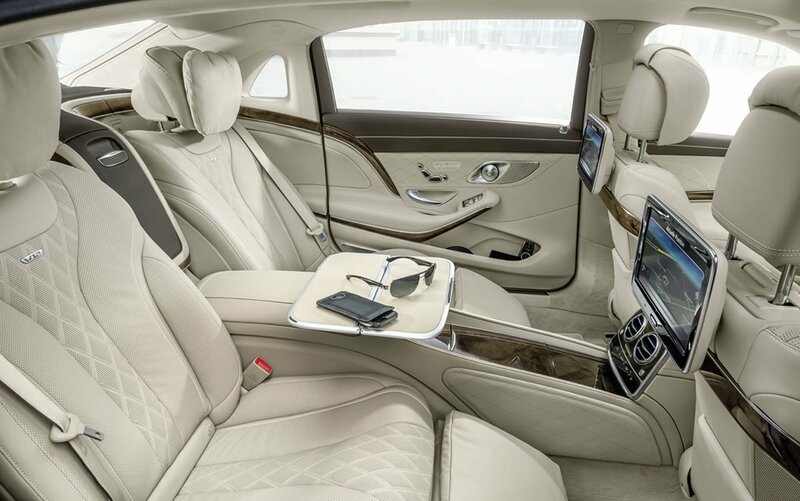 Coming to the cabin of the Mercedes-Maybach, the interior retains the S-Class architecture, but there’s a plethora of upgrades swathed in plusher materials. 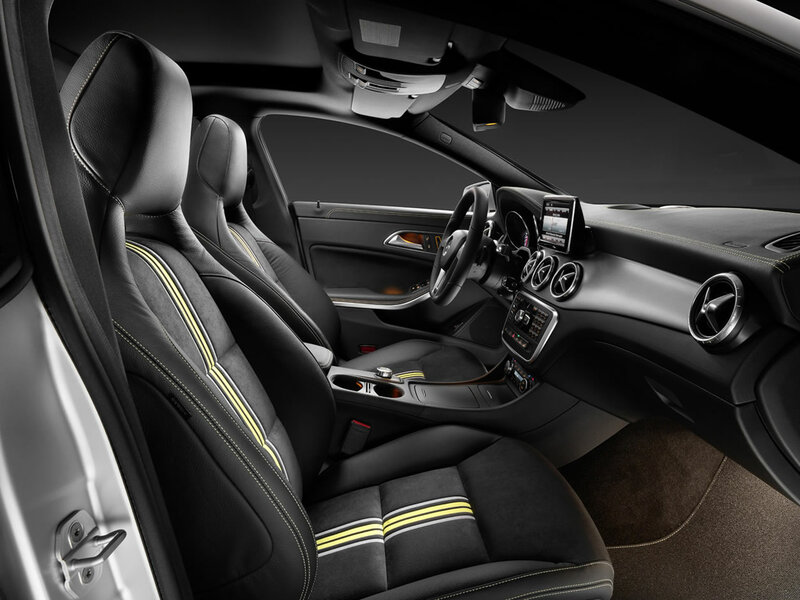 The cabin is fitted with reclining hand-stitched rear seats and a unique fragrance filtered through the cabin by the Air-Balance perfume pack in the glovebox. 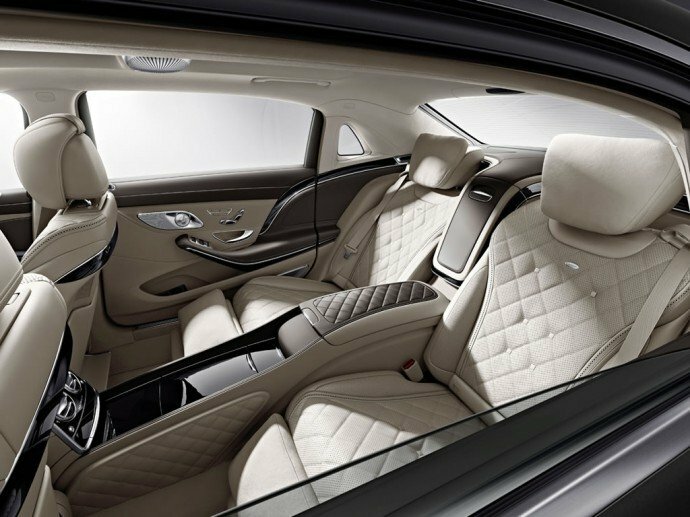 The interior offers 159mm more leg room than the long-wheelbase S-Class, while the rear backrests can recline back to 43.5 degrees. 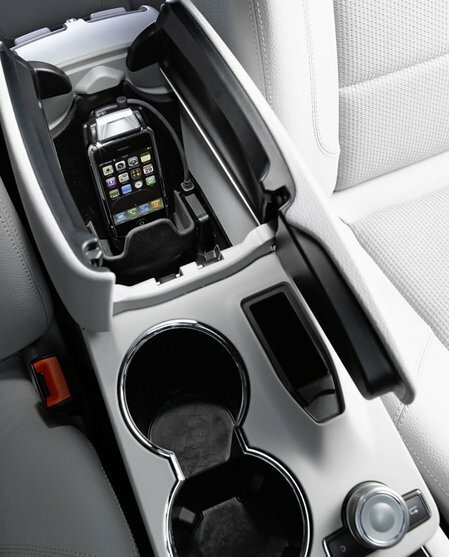 A rear center console with heated and cooled cupholders is optional. 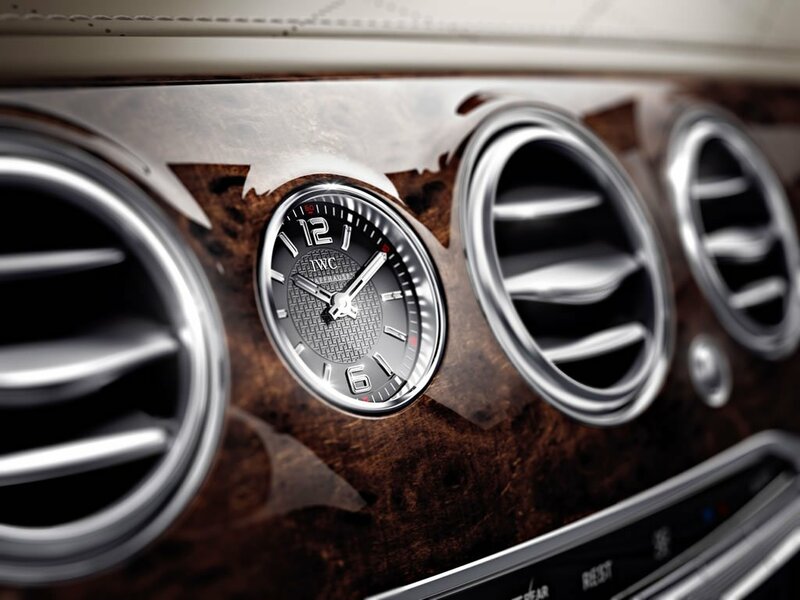 Other features include Burmester audio system, IWC-designed analog dash clock, dual-zone rear-seat climate control, and champagne flutes from high-end silver maker Robbe & Berking. 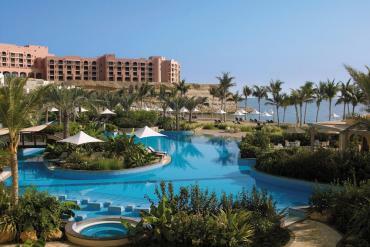 Under the hood is a 6.0-litre V12 producing 523 horses and 830Nm of torque from as low as 1900rpm. 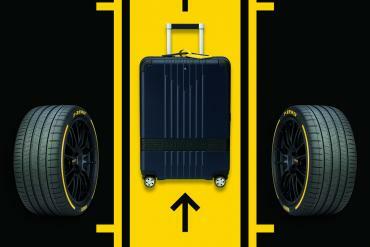 The engine is coupled to a seven-speed automatic transmission, with fuel consumption rated at 11.7L/100km combined. Mercedes says the Maybach S600 can go from 0-60 in just 5.0 seconds and the top speed is limited to 155mph. 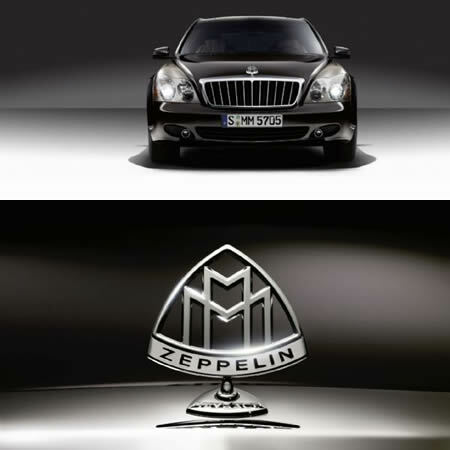 Sales of the new Maybach start in February 2015, and while prices aren’t yet public, expect a starting point of around $250,000.